‘Destiny 2’: Trials of the Nine takes a two-week break as the Bungie fixes bug. Players who are at the end-game of “Destiny 2” have two options. First would be to take on the Leviathan raid with their team to earn loot. The next available option is to team up with three other clan mates for Trials of the Nine. The latter game mode has Guardians strive to get a flawless run in order to access the third spire and earn exclusive gear. However, fans of the intense PVP matches will be forced to enjoy the other game modes as Bungie takes it down for some maintenance. Sadly, it will remain unavailable for the next two weeks as the developer fixes some glitches. Bungie made the announcement via their weekly blog for “Destiny 2” and confirmed that it will take two weeks to address the issue. Trials of the Nine will go offline in order to prevent players from using the emote glitch and cheat their way to victory. The player community discovered a bug with the “Bureaucratic Walk” emote last week and found a useful exploit for it. In certain situations, players can activate the Emote to pass through walls or invisible barriers in the map. The developer quickly caught on as several videos posted online show Guardians how to abuse the bug during the Leviathan raid. Not long after, the glitch was reportedly used to win the Trials of the Nine matches. This allowed cheaters to easily achieve a Flawless run and earn the exclusive loot unfairly. 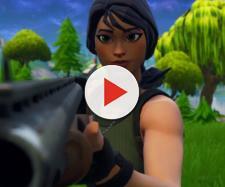 Users who glitch through the walls using the Emote have the unfair advantage of being able to attack opponents, which sometimes left enemy players wondering where the shots are being fired. The hidden Guardian is also rendered immune to return fire and can definitely a match. What happened next was the swift and covert removal of the “Bureaucratic Walk” emote from the Eververse marketplace. Nonetheless, players who already own the item were not affected. The problem will most likely take some time to fix based on the two-week notice from the studio. It should be noted that some users prefer to use the action for fun like to get behind vendor kiosks and more. Bungie is also preparing for another event as “Destiny 2” officially launches for the PC. Since Trials of the Nine won’t become available until November 3, 2017, console and PC owners will just have to make do with the raid for the meantime. Moreover, the challenge modes for the Leviathan raid are also going live on October 31, 2017. Players can check the official website for any updates regarding content and more for the sequel.